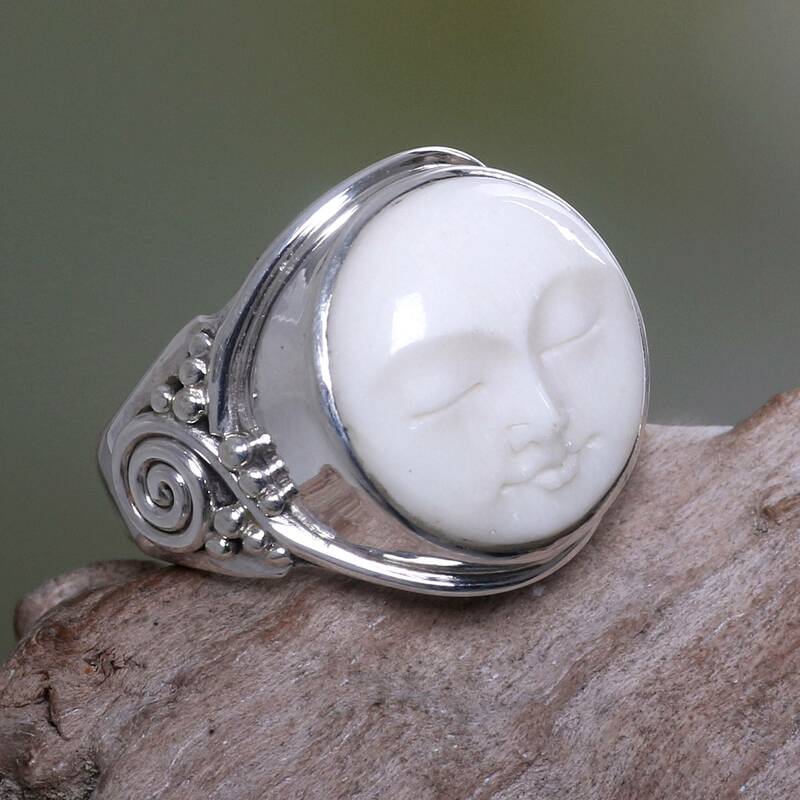 This unique moon face ring will add a hint of whimsy to any look. 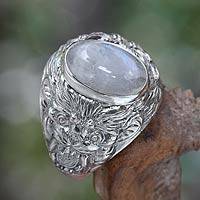 The ring by Buana of Indonesia features the face of the moon carefully carved into cow bone and set into an ornate sterling silver casing. 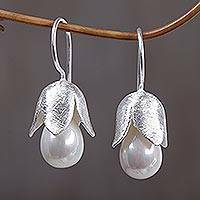 A distinctive ring that will make a great addition to any jewelry collection, the classic colors are sure to accent a multitude of looks.